Olympia Moving & Storage is a full-service moving company in Watertown, MA. 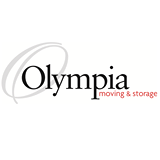 Since its inception in 1993, Olympia has built an unparalleled reputation for delivering exceptional local, interstate and international moving services. Olympia also offers specialized services for companies preparing for an office move. The members of our moving crew will make sure your furniture and belongings arrive at their destination safely and promptly.